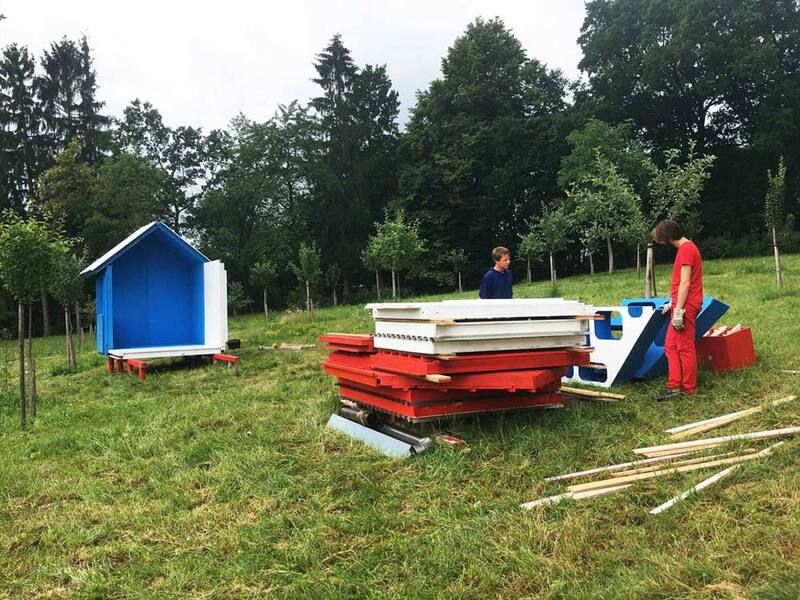 Awesome Tiny Prefab Cabin - Do It Yourself In A Day! 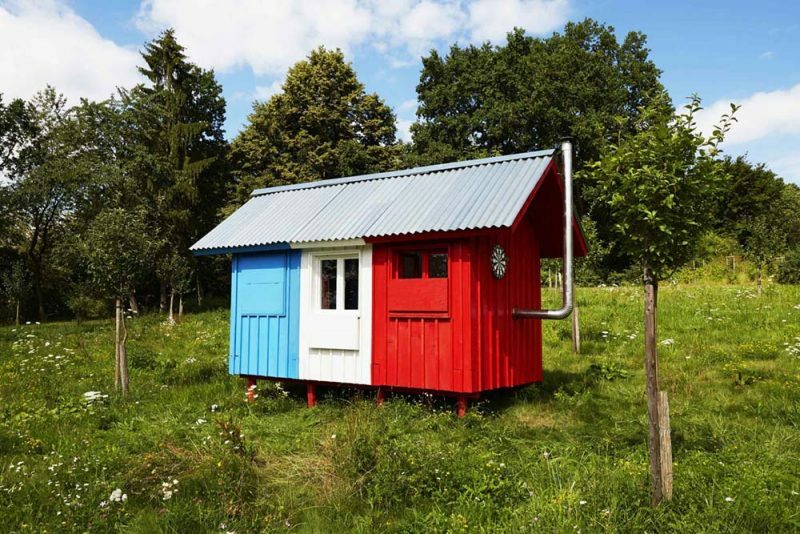 The” French” is a tiny cabin fit for the rolling hills of Burgundy and is comprised of three overlapping interior spaces that correlate to each of the three colors of the French Flag. Sound crazy? It is. It also happens to be awesome. Pin-Up Houses specializes in designing custom, miniature prefabricated houses that are auspiciously named after a popular woman’s name circa 1960 (Gina, Sally and Marilyn are particularly inspiring). The “French,” on the other hand, demanded a different sort of branding. 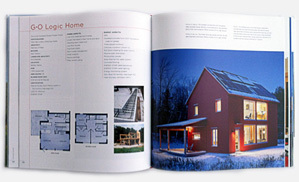 The exterior is made up of 21 premade insulated panels known as SIPs (structurally insulated panel). The panels are locked together and fastened by threaded rod, resulting in a system that can be assembled and disassembled in the matter of a single day. 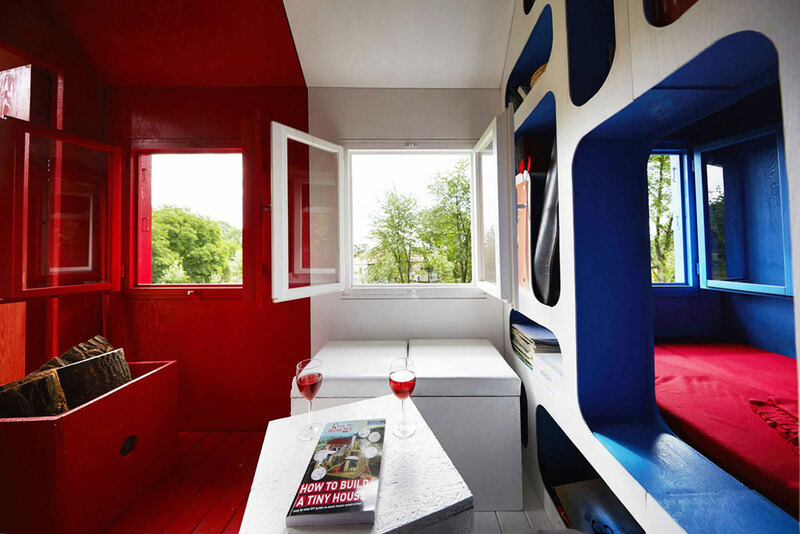 But this tiny masterpiece is more than just a cheap construction trick with a cheeky color scheme. Behind French’s eye-catching facade is an otherworldly efficient floor plan that sacrifices few amenities despite it’s modest size. 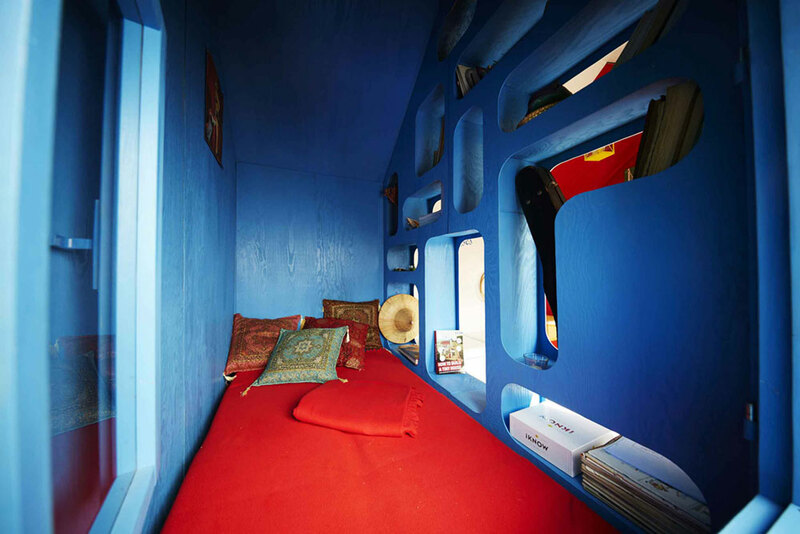 The blue “sleeping” module is separated from the white via a multi-functional storage wall. As the designers point out – blue is the most psychologically beneficial color for sleep. The equally sized white “day” section has a modular seating system and a table. Finally, the red “kitchen” section contains a wood burning stove and tiny kitchenette. French is an experiment geared towards offering unique solutions to providing inexpensive, easy to build home designs to a growing population of people who aren’t afraid to live small. If you strip away the color-coded branding and bistro music, you’re left with a rather astounding accomplishment in efficiency and accessibility. Based on what I’ve seen, the assembly is completely idiot-proof, giving even the most novice of builders the confidence to build themselves a house. 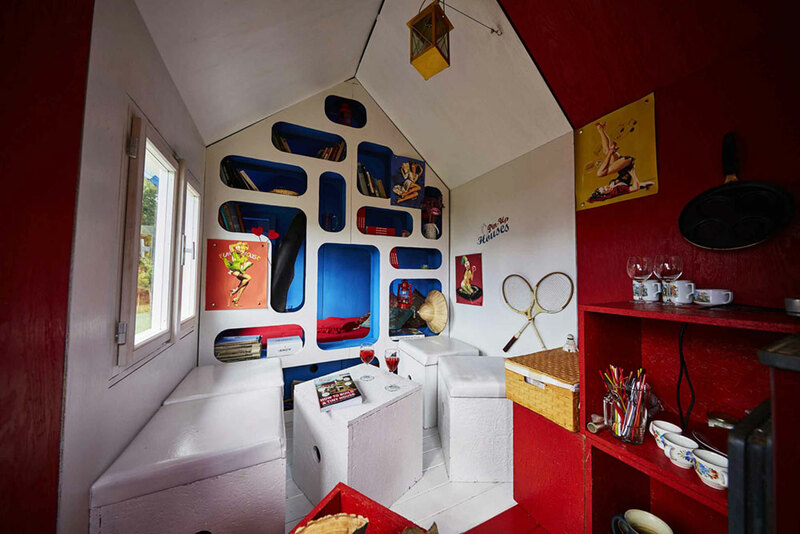 Pin-Up Houses has shown us what an active imagination can lend to the design and construction industries.